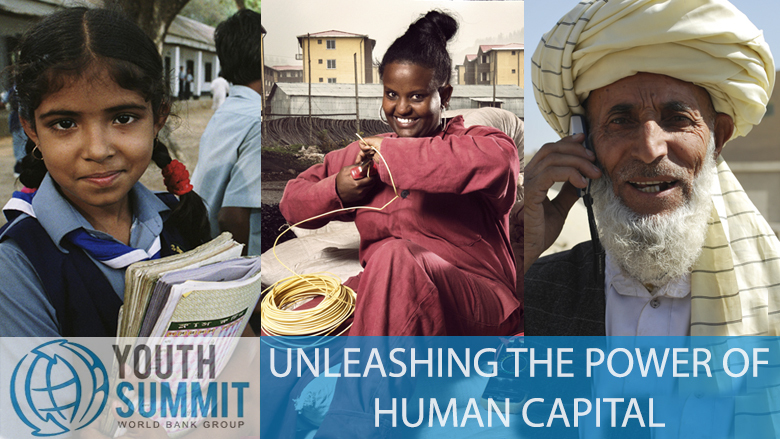 The theme for the 2018 Summit is Unleashing the Power of Human Capital. A key determinant of a country’s competitiveness is its human talent—the skills, knowledge, and experience of its population, better known as “human capital”. The agenda will be structured around two main subthemes, exploring how youth can maximize their, and other individuals’, human capital throughout their lifespan. If you can't attend in Washington DC, we encourage you to join us online via World Bank Live. Some World Bank Country Offices might host livestreamingevents. Access the recap and recording of the Summit here.